"Anyone who is deprived of tender feelings is in fact deprived of goodness." "Ask Allah (SWT) for forgiveness and health, for after being granted certainty, one is given nothing better than health." "Each person will be rewarded for what he intended." "O my Lord, make me thankful to You, always remembering You, always fearing You, always obeying You, to You humble, tearful, and repentant. 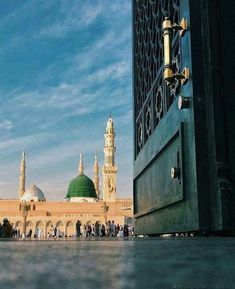 O my Lord, accept my repentance, wash off my sin, answer my supplication, strengthen my argument, guide my heart, correct my tongue, and remove ill will from my chest." "What actions are most excellent?" "To gladden the heart of human beings, to feed the hungry, to help the afflicted, to lighten sorrow of the sorrowful and to remove the suffering of the injured." And he who seeks self-sufficiency will be made self-sufficient by Allah." "If one of you supplicates, do not say, 'O Allah, forgive me if You will.' But instead you should ask with will and conviction, for there is nothing so great to Allah that He cannot grant it." "Try and show patience at the very moment the misfortune strikes, as this is the best. Patience is the essence of devotion and the foundation of saving oneself from sin. " "Do what benefits you, seek the help of God and never feel helpless." “O Allah, grant me your love and the love of those whose love will benefit me with you. O Allah, whatever you have provided me from what I love, then make it strength for me for that which you love. "Allah extends His Hand at night so that He can forgive the sinner of the day; He extends His Hand in the day so that He can forgive the sinner of the night. He will continue to do so until the sun rises from the West (the Day of Judgment)"
"Wealth is not in vast riches but wealth is in self-contentment."